The past few months have been quite draining and with everything that is going on right now it's really important to remember how incredibly luck and fortunate we are. 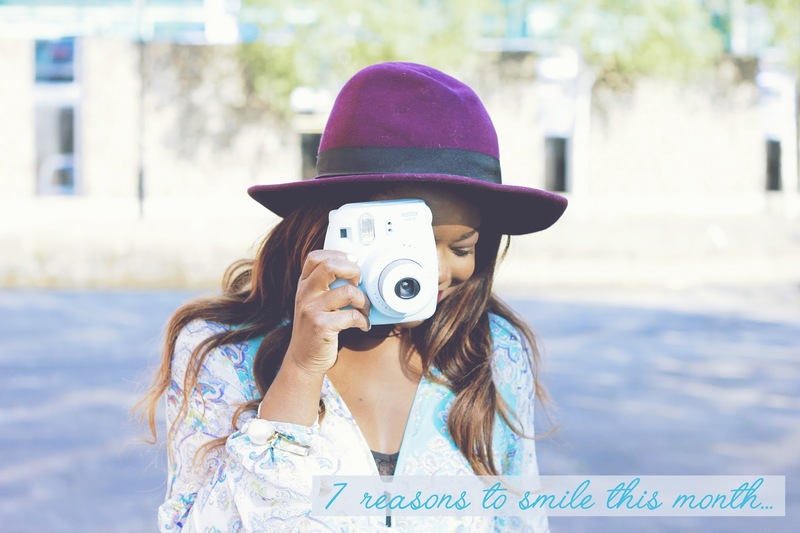 There are several reasons why I'm keeping a clear and content frame of mind this month, 7 reasons to remember that it isn't half as bad as we all think! 2. What a great time to be alive?! - I get all giddy and excited when I actually think about how independent and free I am. I'm in my early 20's and LITERALLY the world is my generations Oyster. We can travel, work and live wherever we chose and generally have the power of free will. Especially as woman, don't get me wrong there's still a lot to do in terms of gender equality but for the most part WE ARE FREE! - You might not know it BUT there is somebody out there who truly loves you! Whether it's your parents, grandparents, boyfriend/ girlfriend or friends - somebody thinks the world of you! 4. YOU can be whatever you want to be! - I truly believe that if you work hard and take actions towards your goal, you can be whatever it is you desire. Words are powerful and positive thoughts ( ohh I went there with the law of attraction) can literally move mountains. 6.Your passion can become your full time employment. Whether its blogging, acting or singing. If you're passionate and with a bit of luck you can turn that hobby/ passion into a full time career. All it takes is passion and a bit of good fortune. If you think luck, YOU ARE LUCKY. 7. Everything will work out in the end. I've noticed the more I worried about something, the more I wasted my energy on the negative. Whether it was an exam, job interview or something similar - afterwards I always thought...well that wasn't THAT bad! The more I stopped worrying, the better these situations got. Don't get me wrong, there's a difference between stopping to worry and preparing for it. Especially when it came to my education, the more I prepared the less I panicked as I was confident in my own ability. Plus, I'm sure your parents or anyone older than you always assures you that everything will work out in the end, and it truly will!